Olivier Cerdor discovered his passion for music in Mauritius, performing in the National Folk music competition at age 11. At 17 he put together his band and started singing Reggae and his own local Seggae. Inspired by musos from around the world such as Kaya (Reginald Topize), Bob Marley, Jonathan Butler, Jason Heerah, Stevie Wonder, Gregory Isaac and UB 40, Olivier created his own unique flavour of music among which these influences are reflected in his album "Kontan" where he sings in Creole. Malik Diop comes from the tropical country of Senegal in West Africa. It's known for its beautiful people and international musicians like Youssou N'Dour. Malik himself comes from a long line of Griots, who are poets, praise singers and wandering musicians. Malik is the King of the Talking Drum - one of the most fascinating instruments in the world. The West African talking drum has a pitch that can be regulated so that it sounds like the drum is talking. He also plays saba, djembe, dum dum and sings and dances in his band Senegal Wow Wow. 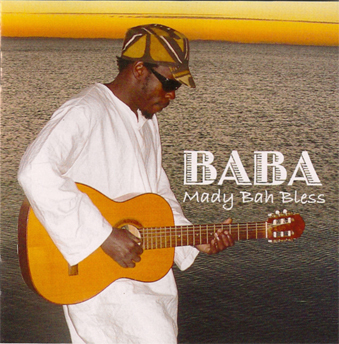 Baba was released by Australian based Reggae musician, Mady Bah Bless in 2010. Baba means father. The album has received positive reviews in Australia, Africa and England, with Mady emerging as a significant player in the 'new wave of reggae'. He has written and performed all of the songs on Baba. Mady has attracted a stellar cast of international musicians for Baba including Simon Williams (Keyboard), Tod Yacou (Congo), Paul Jarman (Sax and Flute), Moussa Diakite (Guitar Solo), Mali (Guitar Solo), Kiri Koubaroulis (Backing Vocals) and Rory Brown (Bass). TBR was released in 2011 by Errol H. Renaud. TBR stands for 'True Born Revolutionary' and has 15 original songs by Errol. Errol H. Renaud was born in the Caribbean twin island state of Trinidad and Tobago. He started as an entertainer with the Ujamaa performing company. Errol has been to over twenty countries spreading the message of Soca, Reggae, Calypso, the Steelpan, limbo and other music and dance from his birth place. Errol is now based in Sydney, playing his brand of music with a rich Caribbean flavour, a taste of conscious lyrics and a heavy dose of happiness. 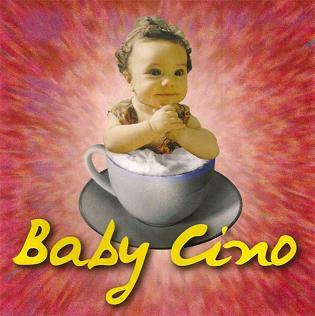 Baby Cino, a hot milk cappuccino, that lets kids be cool in the hip cafe scene...also the name of a musical project created by Sally Charles and Patou Powell to inject some new rhythm into the lives of children and their parents. Inspired by their own children, this Jamaican/Australian collaboration is a fun filled show...with innovative songs that are melodic, interactive and groovy!!! A combination of traditional and original nursery rhymes flavoured with gentle Caribbean rhythms take children on a journey of adventures, imagined and created, with Baby Cino leading the way. Moses O’Jar are an extraordinary, unique, high-energy group led by one of the world's most dynamic and respected musicians - Afro Moses. Afro Moses is a singer, multi-instrumentalist, composer, dancer and teacher who has taken his music all over the world. A master of the seprekora (21 stringed African harp) and talking drum, he has won legions of fans in his homeland as well as in his adopted homes of Denmark and Australia. Afro Moses has a voice with huge range, clarity and an ability to leave the audience moved beyond words. Afro Moses is a multi-award winning, Australia-based artist from Ghana, West Africa. He is a singer, composer, multi-instrumentalist and teacher with a magnetic personality who has enchanted people with his high energy music, powerful messages, showmanship and colourful stage shows around the world.